How could you, Mama? Papa has not even been dead a year!’ When the beautiful Lucia Mountford’s mother remarries less than a year after her father’s death on the Titanic, she is shocked when the family’s fortunes suddenly go into rapid decline and her mother becomes ill. 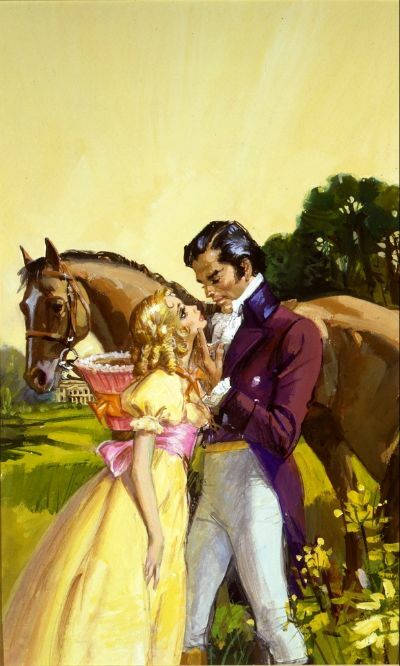 Deeply in debt her stepfather borrows a considerable sum of money from the handsome but roguish Lord Winterton. Horrified, Lucia discovers that not only has she been pressed into working for him as his secretary to repay the debt, but that she has been promised to Lord Winterton in marriage. To add further misery to her burden, her mother’s condition worsens and her life hangs in the balance. In the meantime, Lucia is being secretly wooed by the staid but good-looking Edward de Redcliffe who is intent on making her his own. As Lucia struggles with herself over her growing attraction for her employer, events take a strange turn when the wilful and beautiful Lady Shelley sets her sights on becoming Lady Winterton. How Lucia finds true love and what happens when Lord Winterton mysteriously disappears is all told in this intriguing novel by BARBARA CARTLAND.